Today is back to school day for my two boys. It is a later start than usual this year but I do not mind it at all. In fact, I am a little sad that the relaxed schedule is over and summer is winding down. It is definitely more fun to have the boys home. The house is too quiet now and I can’t wait for the holidays to roll around again. 2 Business Days Print Turnaround Time *Free Shipping. This giveaway is for US residents 18 years old and above only. 1. Join me as follower of this blog via Google Connect and leave me a comment here stating you are now a new follower. 2. Become a fan on Facebook and leave me a comment here stating you are now a new fan. If you are already a fan, please leave me a separate comment stating that. 3. Become a follower on Twitter and leave me a comment here stating you are now a new follower. If you are already a follower, please leave me a separate comment stating that. 4. Post about this giveaway on Facebook and/or tweet about it and leave me a separate comment here stating you have posted or tweeted about this giveaway. This giveaway will be opened till 9:00pm Central time Wednesday, September 21st, 2011. I will randomly select and announce the winner on Thursday, September 22nd, 2011. All the best! Now, let’s get on with the rest of today’s post and recipe. Ice cream comes in two basic styles, Custard and Philadelphia. Custard (also known as French) style ice cream, as the name suggests, is custard based. Eggs are whisked into the hot milk mixture and cooked gently until the mixture becomes thick enough to coat the back of a spoon. Philadelphia (also known as American or New York) style ice cream contains no eggs and does not require any cooking. It is based purely on cream and sugar with only a few ingredients needed. Philadelphia style ice cream is my preferred ice cream because of egg sensitivities at our home. While some may say that this style of ice cream is not as creamy and can sometimes be a little icy, I seldom have that experience here in the Midwest. Our milk is very creamy and that I think makes the difference. I have noticed that store bought Philadelphia style ice cream here requires very little, to almost no thawing at all. One can dig into it very easily. Hence, I am always on the lookout for egg-free ice cream recipes. While I was in England recently, I had some freshly made Pistachio Ice Cream at a train station. It was really delicious and I promised myself I would replicate it once I got home. When searching for a recipe on-line, I stumbled upon Jeni’s Splendid Ice Creams. Though I have not personally tried any of Jeni Britton Bauer’s ice creams, I read that they are very creamy, contains no eggs, and are super delicious. I adapted her pistachio ice cream recipe found here. In this recipe, the cream was brought to a boil. Then, a little cornstarch was added to produce a custard like consistency which helped absorb whatever water was left in the cream. Finally, cream cheese was stirred in to make it extra silky and smooth. I was truly amazed at the taste and texture! 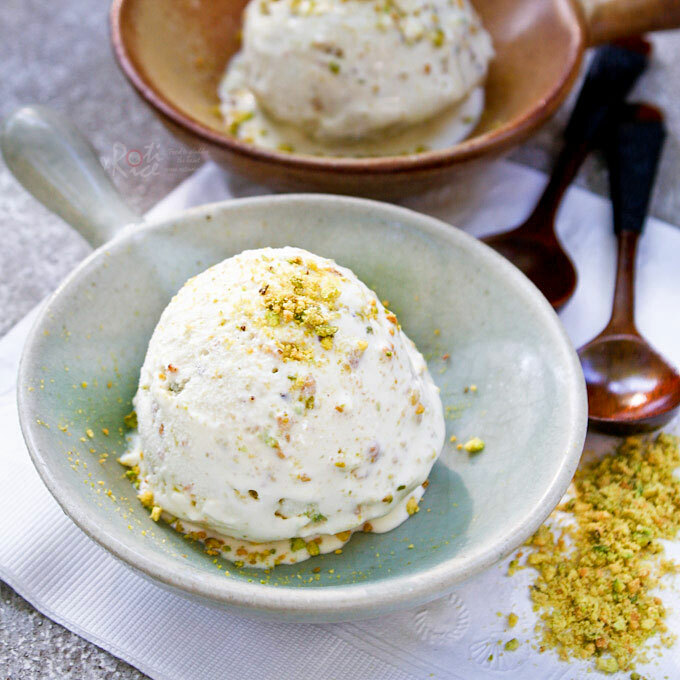 Super creamy egg free Pistachio Ice Cream. You'll be amazed by the silky smooth texture of this delightful frozen treat. A must try! Freeze ice cream bowl for 24 hours. Grind pistachios in a food processor until very fine. In a small bowl, mix cornstarch with 2 tablespoons of milk. In another bowl, beat cream cheese until smooth. Ladle ½ cup hot milk mixture into bowl with cream cheese to melt it slightly. Pour cream cheese mixture back into saucepan and whisk till smooth and combined. Add pistachio and salt and stir to combine. Allow mixture to cool. Cover and refrigerate for at least 2 hours. There is still much time left for more delicious ice cream. Here are the other frozen treats I have previously shared. Just click on the picture to get to the post. 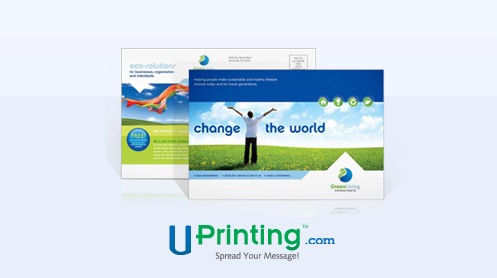 Disclaimer: This giveaway is sponsored by UPrinting. No monetary compensation was given but I will receive one hundred 5″x7″ postcards for hosting. What was written are my personal thoughts and view. For full disclaimer, please click here. I’m quite sad that the summer is winding down too! Glad to hear you enjoyed it though 🙂 And I’ve never heard of Philly ice cream before – I must try it! Oh my goodness this look DELICIOUS!!!! Just last night I was thinking I need to make an ice cream with cream cheese, cha ching, winner! 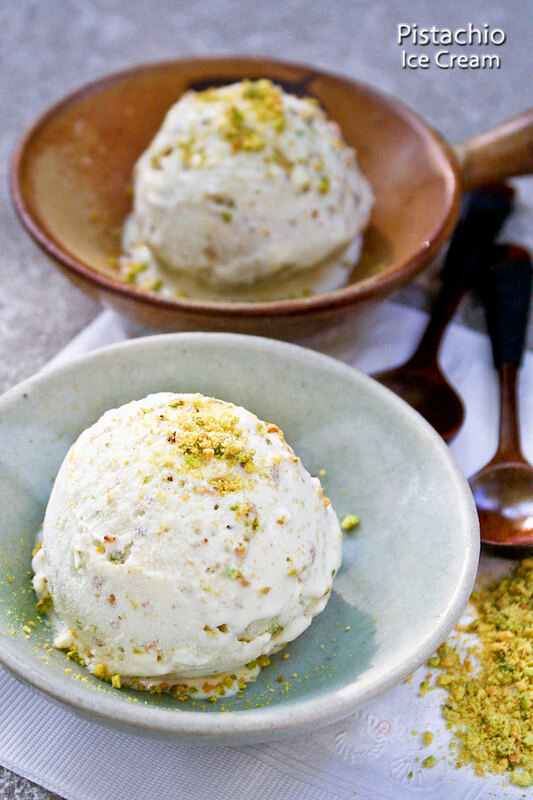 i’ve been wanting to make pistachio ice cream for a while- but didn’t know how. this is great! I also had no idea about Philadelphia vs. French ice cream. Summer or not, I love ice cream! I definitely gonna try this, Biren! I sooo love pistachios! This ice cream looks absolutely delicious!!! I love pistachios and definitely love ice cream!! Great recipe! 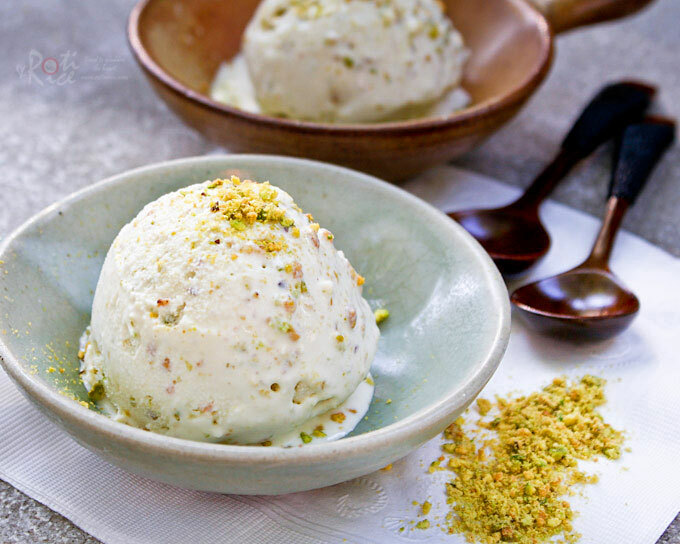 Biren, your pistachio ice cream looks so pretty and so tasty…thanks for this nice recipe as I just got an ice cream maker this Summer, therefore not much experience with it. I will have to try the cooked method of making ice cream. Pistachio ice cream always reminds me of my sister – it’s the only kind she would eat when we were kids. Your eggless version is irresistibly delicious! I tried to make an eggless version a few weeks ago and mine wouldn’t freeze up – I will to try the cornstarch trick next time. yum yum, your ice cream looks so good. My all time favorite ice cream flavor! Looks fantastic and love the photos (always)! I have done a bento and want to submit to the bento banter on facebook but still do not know how to go about it 🙂 hope you can enlighten me as I am still new to facebook :p getting rusty adi 🙂 and how do I update my url in bento banter ? Super delicious ice cream. Looks so yummy!! Lovely clicks too..
Pistachio has been one of my favorite ice cream flavors for as long as I can remember and this looks just PERFECT. THanks for sharing the recipe! I gorged on gelatos during the summer break and I have a lot of excess weight to show. Love pistachios on ice cream and yours look so fully loaded and I am really wanting to eat it. Love those adorable handled bowls. The kids went back to school last week and I know what you mean by quiet. I had a pistachio ice cream recently and it was delicious with a very faint hint of pistachio. Yours look good, I like it that you are generous with the pistachios. Top on my christmas list is an ice cream maker, the kids have been asking for homemade ice cream…. I think I’ll have to get her book. I am really impressed with this recipe. When I was young, Pistachio also has been one of my favorite ice cream flavors aside from chocolate. As i can remember that this looks just delicious and perfect. Yeah! It is an tempting ice cream and I love to follow your recipes for more updates. Thank you for your compliments, John. I must say that I was surprised myself at how well this ice cream turned out. It’s all gone now. I’ll have to make another batch soon. 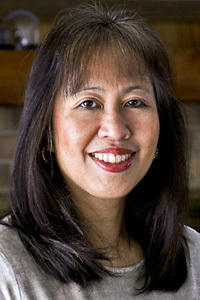 Please do follow via Facebook, Twitter, or Google Friend Connect on my sidebar. You can also subscribe to my feed. Thanks! This ice cream looks so CREAMY and SMOOTH! Love the addition of pistachios. I recently tried my first pistachio ice cream and ever since then I know why this ice cream is very popular. I don’t really eat nuts (unless they are in chocolate! ), but this ice cream was really delicious (unexpectedly!). Yours look very tempting and I am keeping this recipe for next year. I love this pistachios ice cream. Looks so creamy and yummy. Bookmarking this for the weekend gathering. wow, the ice cream looks just delicious!! so great for end of summer over there. That looks good! I love the fact that there is no egg in it. I’m telling you…I need to get an ice cream maker before summer begins again! This is one of my favorite ice creams! Even better with the crushed pistachios on top! This giveaway is now CLOSED. Thanks to all who participated! We are starting a restaurant soon and would consider some of your delicious recipes. Keep up the good work!! Love pistachio flavored ice cream.